Matt Foreman, author of Bones of Iron and Olympic Weightlifting for Masters, is this week's podcast guest. Matt has been a competitive weightlifter for 20 years and actively competes in various strength meets and competitions each year. Matt is a football and track and field coach in Phoenix, Arizona. His writing is featured on Catalyst Athletics. I'm honored and excited to share this great interview with you. This episode is the 2nd half of the 2 part interview series, so if you haven't heard Part I, please listen to that first. Matt Foreman, author of Bones of Iron and Olympic Weightlifting for Masters, is this week's podcast guest. Matt has been a competitive weightlifter for 20 years and actively competes in various strength meets and competitions each year. Matt is a football and track and field coach in Phoenix, Arizona. His writing is featured on Catalyst Athletics. I'm honored and excited to share this great interview with you. This episode is the 1st half of a 2 part interview series. Chad Waterbury is this week's podcast guest. 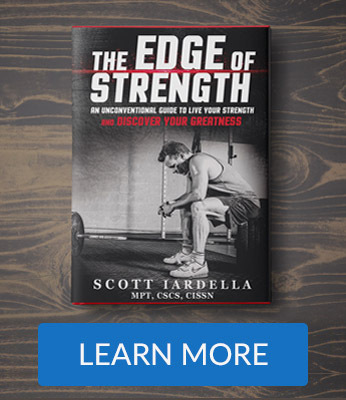 Chad is a highly respected fitness writer, author, and coach who's known for his unique approaches to strength training, muscle building, and performance. He's worked with professional athletes, celebrities, and non-athletes producing outstanding results with his innovative training. Chad has written for many fitness publications, authored books, and has given presentations for major fitness organizations. Currently, he's pursuing his DPT (Doctor of Physical Therapy) degree at the the University of Southern California and his background and training is in the area of neurophysiology. Here's Part 2 of the interview with Gray Cook. 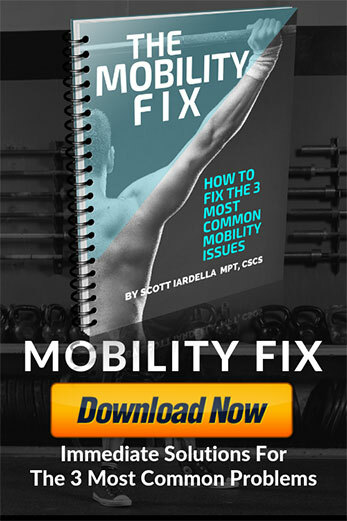 Gray Cook, Creator of the Functional Movement Screen and author of the amazing book “Movement” is this week’s podcast guest. If you haven't heard Part I of this interview series, please be sure to go back and listen (episode #100). Gray is truly a pioneer in strength and conditioning, as well as rehabilitation, with his books Athletic Body in Balance and Movement. He’s also the Founder of Functional Movement Systems which promotes the concept of movement pattern screening and assessment. Gray Cook, Creator of the Functional Movement Screen and author of the amazing book "Movement" is this week's podcast guest. This episode marks the 100th episode of The Rdella Training Podcast and I couldn't be more excited and honored to share such an amazing and brilliant guest, the renowned Physical Therapist & Strength Coach, Gray Cook. Gray is truly a pioneer in strength and conditioning, as well as rehabilitation, with his books Athletic Body in Balance and Movement. He's also the Founder of Functional Movement Systems which promotes the concept of movement pattern screening and assessment. Before getting into the interview with Gray, I take a few minutes to reflect on 100 episodes of the show, recapping some of the great guests and show highlights, as well as discuss the vision of the podcast. Gary Ward is a pioneer in human performance and he’s the featured guest in this podcast episode. This is Part II and a SPECIAL EDITION of the amazing interview with Gary. Gary is the author of an incredible book titled “What The Foot” which is a “game changing” philosophy on human movement to eliminate pain and maximize potential. It's very important that you listen to Part I (episode #97) to fully understand the information in this session. Gary Ward is a pioneer in human performance and he's this week's amazing podcast guest. 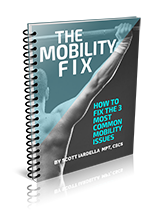 Gary is the author of an incredible book titled "What The Foot" which is a "game changing" philosophy on human movement to eliminate pain and maximize potential. This session is the literally the "cutting edge" in performance and we covered a lot of ground in this interview, yet we truly only scratched the surface on his philosophy. This interview is split into 2 episodes (Part I and Part II) because of the depth of information covered and I wanted listeners to be able to absorb the high value content and brilliant insight that Gary shares.